Setting the seal on its partnership with the National Basketball Association, the legendary NBA, Tissot has created a special version of its T-Touch Expert Solar watch. 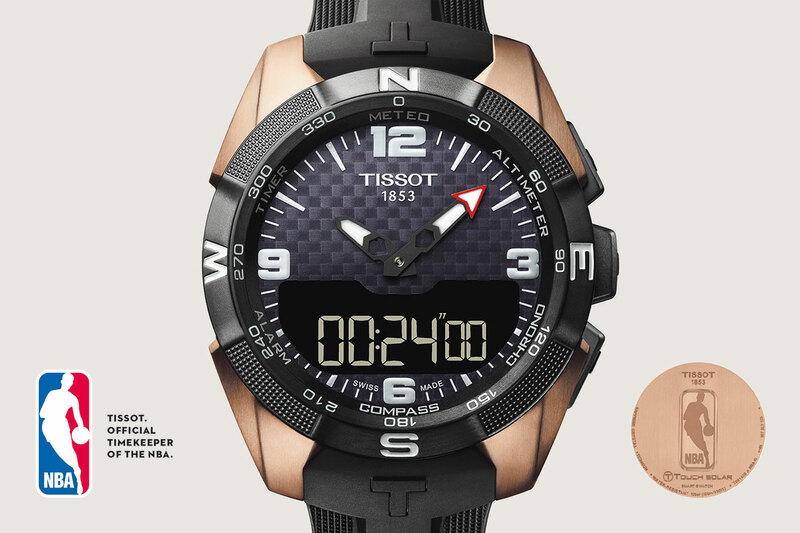 The most sophisticated model in the T-Touch model is presented in a black PVD-coated and gold version designed to highlight the biggest sponsoring programme in Tissot’s history. 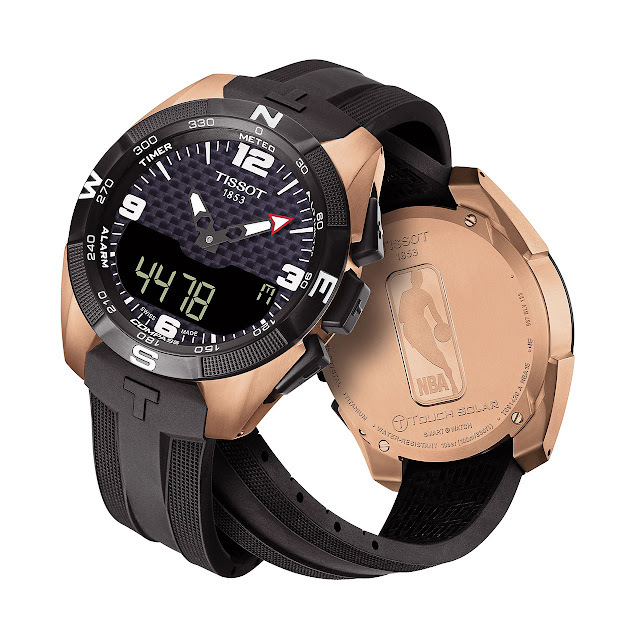 It is also distinguished by the red-arrow tip of the minutes and by the NBA logo engraved on the caseback. Beneath this distinctive exterior, the T-Touch Expert Solar NBA Special Edition has maintained all its functions and features – notably including its lightness, with a PVD-coated titanium case. Its hypoallergenic and stainless nature makes it entirely suited to athletes. Finally its 20 functions are as ever controlled via its tactile sapphire crystal. The T-Touch Expert Solar NBA Special Edition is an ultra-functional, high-tech and extremely stylish instrument. Solar-driven quartz movement with accumulator-charge indicator. Hours, minutes, perpetual calendar with display of the day and week, two alarms, two time zones, weather forecasts with relative and absolute air pressure, altimeter with altitude-difference meter, chronograph with split/lap/add times, logbook, compass, timer, azimuth, regatta function and backlighting. Black with carbon fibre pattern. Rubber with pushbutton folding clasp.